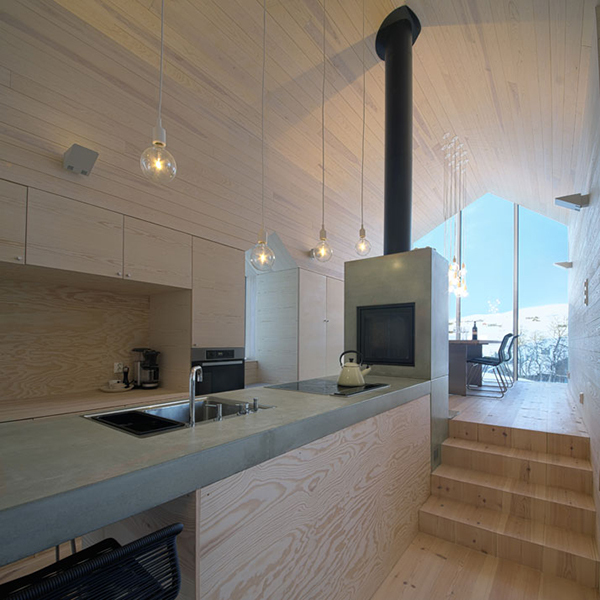 When a house is located near the ocean or the mountain, it gives a different feel. 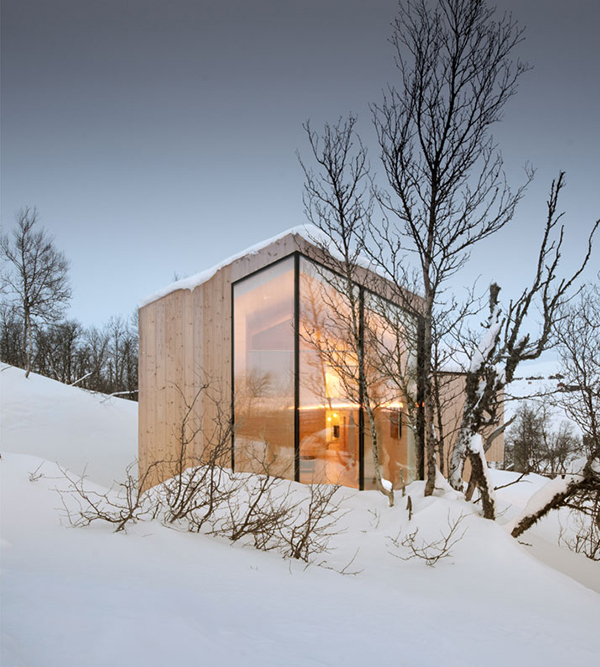 It seems like you are near nature and that you would feel more comfortable while in it. This is what we can see homes that have trees around it or have a lovely view of nature. That is why, new homes that are to be built with a beautiful surrounding makes sure that they will be able to maximize the views just like what this house we will feature today. 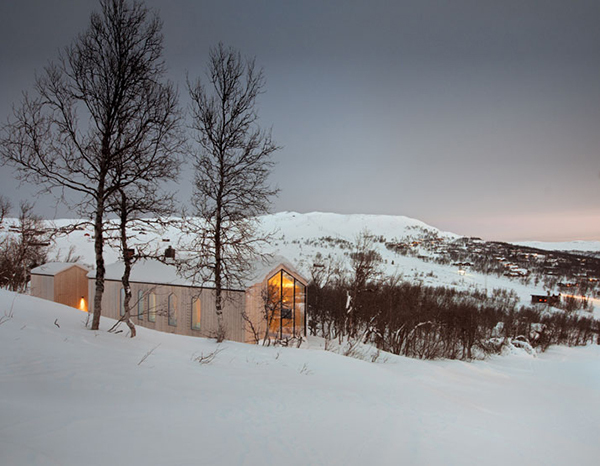 Located in central Norway, in a place that is popular of skiing is the Split View Mountain Lodge. 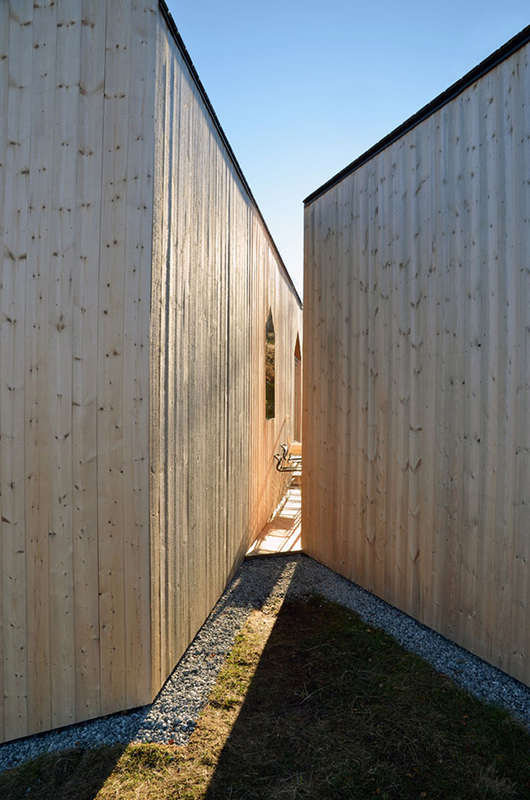 It is a contemporary house that provided a split view because of its design. It has a main wing of bedrooms that splits off from the kitchen into two living areas. It is almost a fan-like movement that would make you choose which way to go and which view to take. 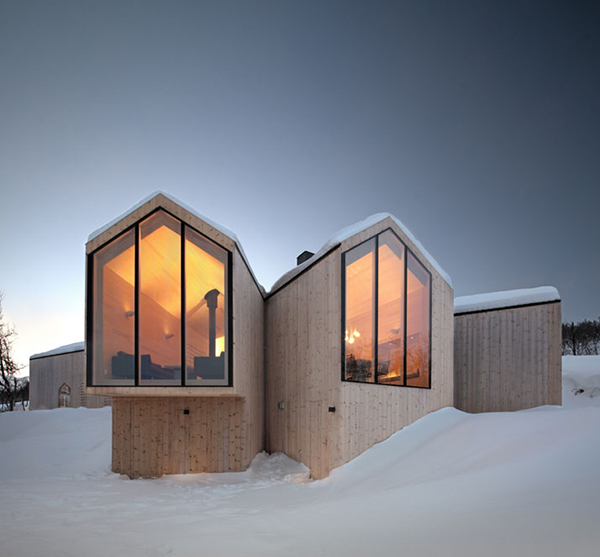 The designers said that, “The mountain lodge is a continuation of Norwegian developing traditions in type and materiality, perched beautifully inside its landscape and responding to its context..” Come take a look at the home’s design below. 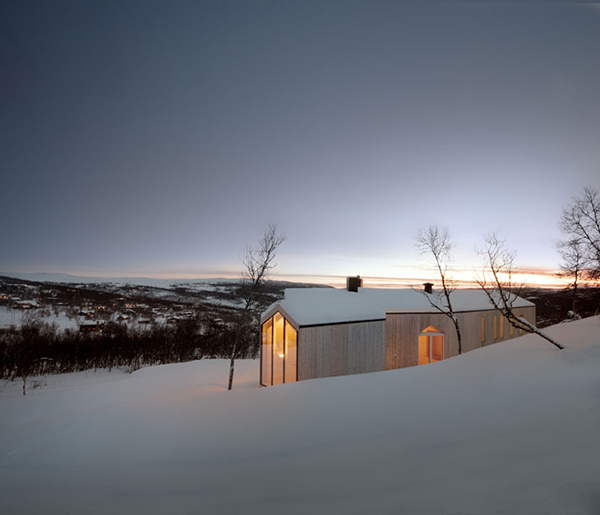 The house is located on a mountain covered with snow. 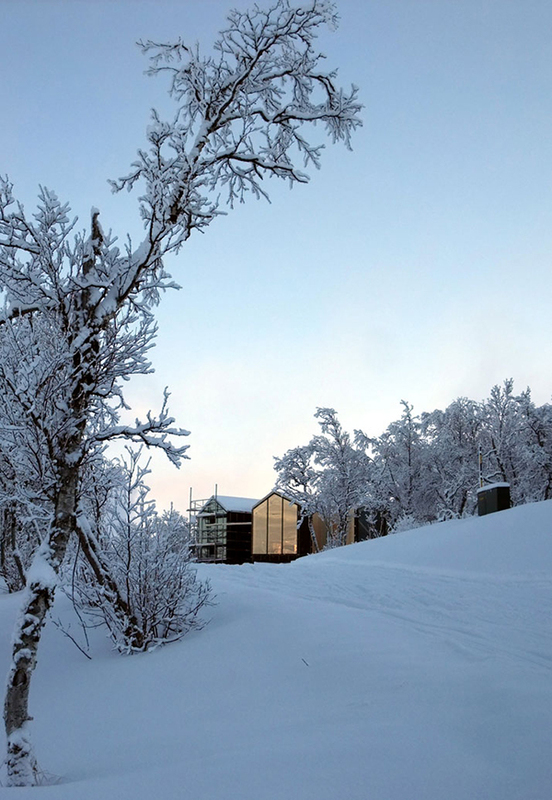 It is almost a wonder that a beautiful contemporary house sits in this area. 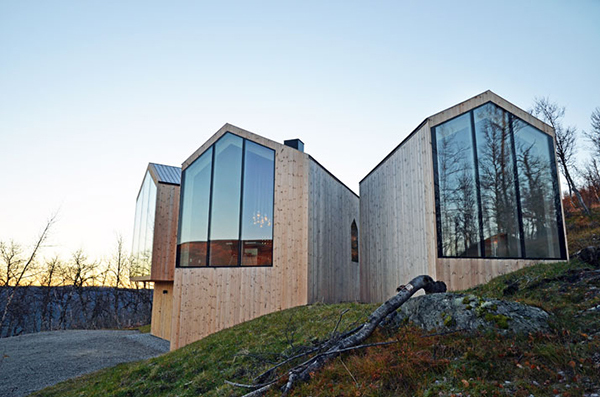 The house has glass windows all around it in varying sizes and shapes. What you see here is the angle between two parts of the house and the gap in between them. This is how the house looks like as a whole. 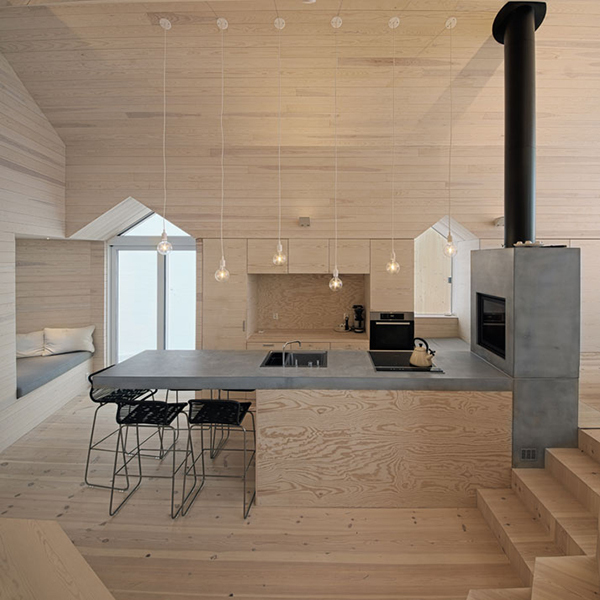 You would think it is something really different from other house designs. The upper part of the house is higher because of the topography. 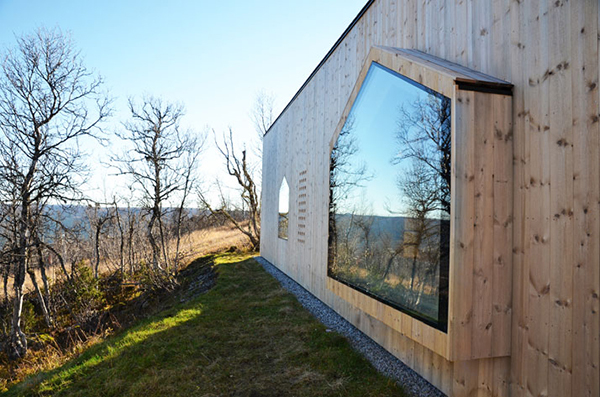 On this side, the house is transparent. 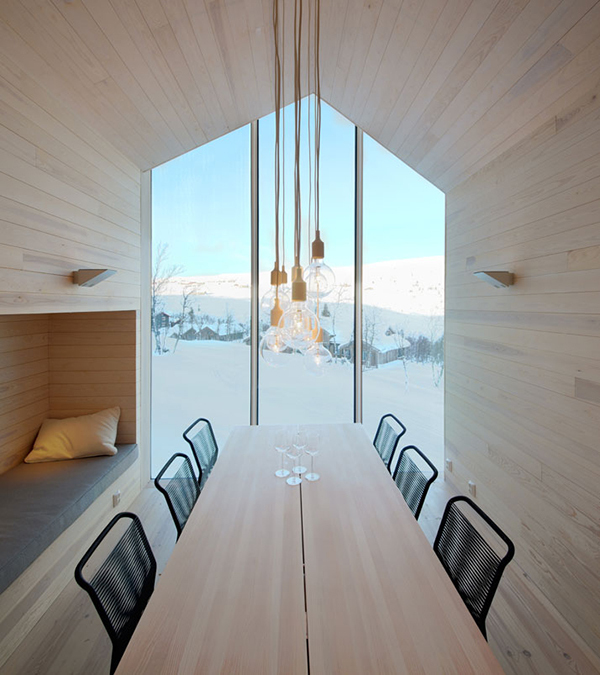 From inside, one will be able to get a good view of the surroundings. The house is accessed thru the lower level where an ascending staircase will lead to the main living quarters with a kitchen, dining and living area. 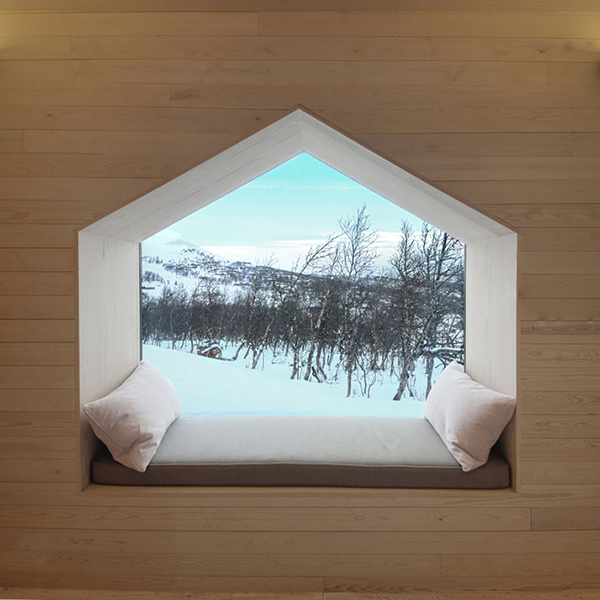 This window has a seating area where you can just curl up for a good book. In the kitchen, you can see a beautiful central glass fiber and reinforced concrete counter that has been cantilevered into the centre of the space. All the areas are capped under a complicated ceiling of pitched planes. 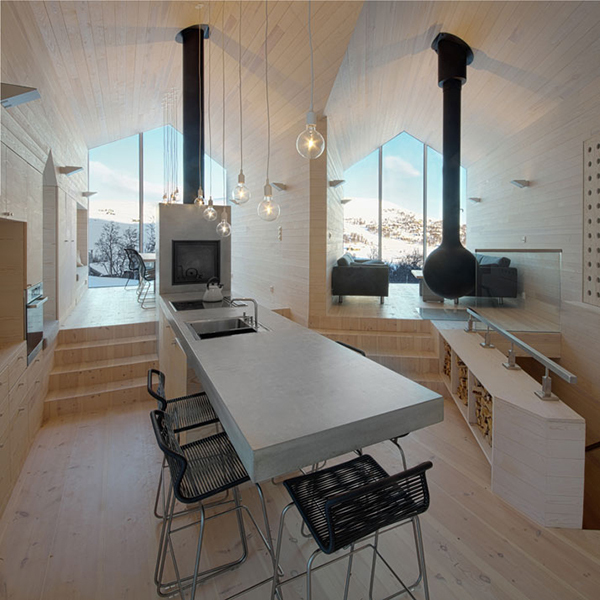 The kitchen counter is also anchored by an inviting two-sided fireplace at the other end. 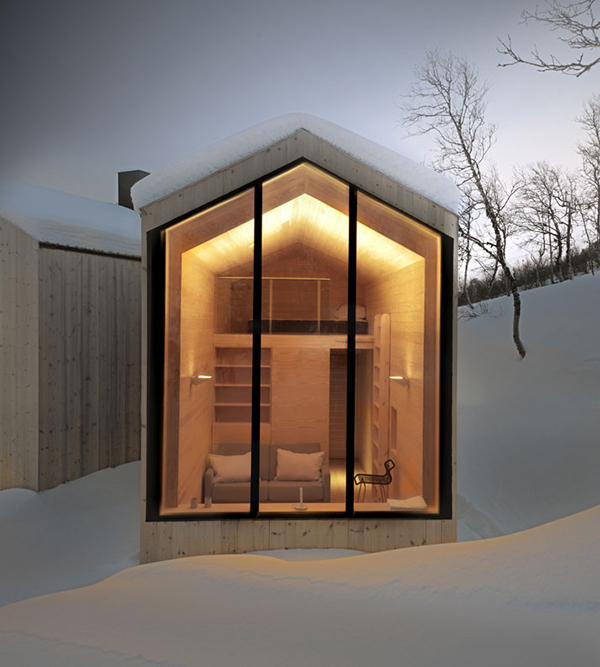 Everything in the house is made of wood and looks very warm an relaxing. The highlight of the house is how the view splits from the kitchen area. It has dramatic lighting that made it appear even more interesting. It has a beautiful contemporary design which is especially done for this location. 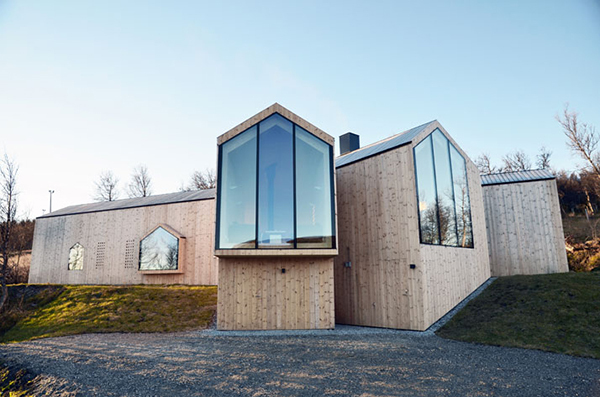 The floor to ceiling windows give the house a transparent look. From outside, you can see how the interior looks like with a mezzanine for the sleeping area. 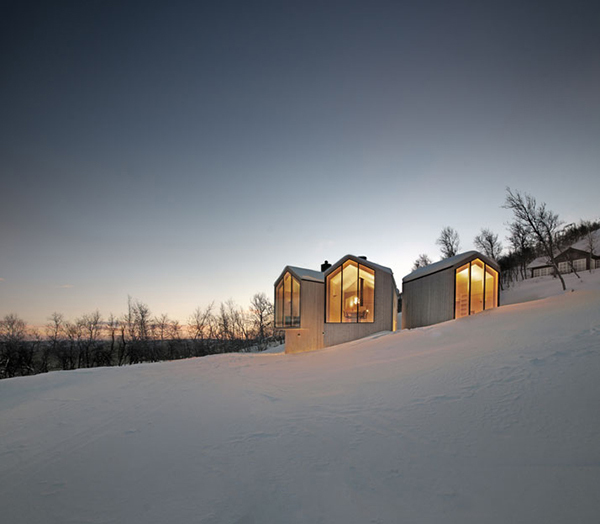 Norwegian architects Reiulf Ramstad Arkitekter did the design of this house. Its architecture is indeed beautiful and unique. 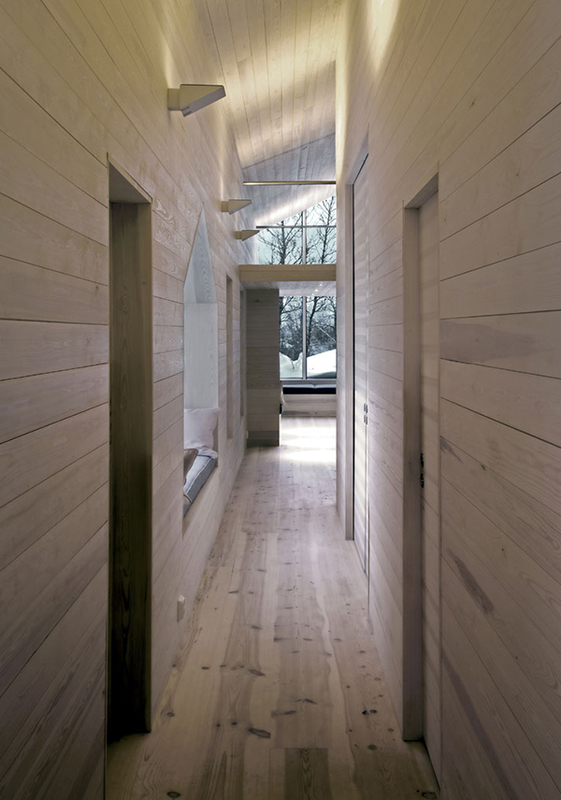 But the interior is equally stunning too using wood for most of its areas. 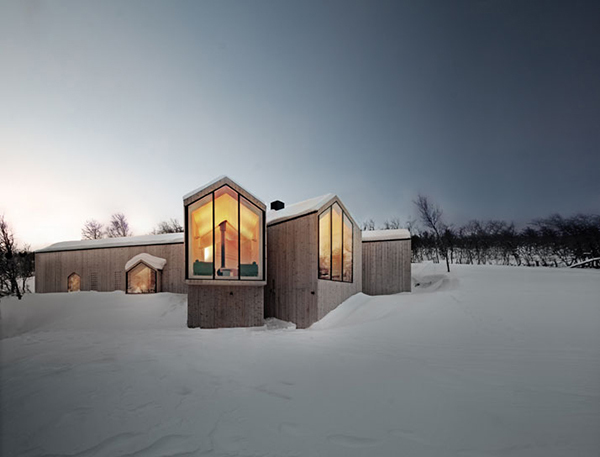 For sure, you will be able to get a warm and relaxing stay if your house is designed this way. Yes, it would be arm even if you are wrapped in snow.